A freshman student drowned at Greater Lowell Technical High School in Tyngsborough, MA yesterday. Emergency responders were dispatched when an administrator at the school called for help around 11:45 a.m. Police and firefighters performed CPR on 15-year old Danny Svay, but were unable to revive him. He was pronounced dead at Lowell General Hospital. The Middlesex District Attorney’s Office is calling the drowning accidental, and do not suspect foul play. This is the second drowning at the school in less than a year. A 17-year old student drowned last August. Though officials are still investigating the true cause of the boy’s drowning, questions do arise as to the safety procedures currently put in place to prevent such accidents from occurring. A lack of preventative measures could have been the cause; such as the amount of trained pool staff, warning signs, pool clarity, etc. In 2011, a municipal pool in Fall River failed to follow proper safety protocols which ultimately cost a woman her life. On June 26, 2011, Marie Joseph was swimming with her friends when she went down the pool slide and drowned in 12 feet of water. The water was so cloudy and dirty that Joseph’s body remained unnoticed at the bottom of the pool for two days until it floated to the surface. The Department of Conservation and Recreation in Fall River acknowledged their failure to adhere to pool rules and accepted accountability for Joseph’s death. Thus far, the DCR has implemented changes to staff training, made changes to the pool’s depth (the maximum depth is now 5’6″), and revamped safety protocols to ensure an incident like this never occurs again. While it is still only April, it is important to begin thinking about pool safety for this summer, and the preventative steps you can take to avoid a drowning incident. If you have a pool at your residence, make sure it is properly fenced in and gated, and secured with a child-proof lock. Always supervise children near the pool and never leave them unattended. Be sure to clean your pool regularly; use the appropriate chemicals and ensure that your system’s pumps are working correctly so your pool remains clean and protected against potentially harmful infectious bacteria. If you have small children who are still unable to swim, be sure they are wearing approved floatation devices. 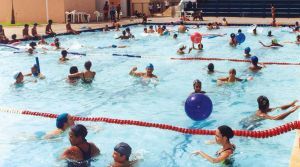 If you are at a public pool, be aware of your surroundings, such as the safety rules, signs that indicate the pool’s depth, and the staff supervising the pool area. Be cautious of puddles and potentially slippery pool decks, to prevent a slip and fall injury. If you have been injured in a pool accident on someone else’s property-whether it be at a residence, hotel, sports club, or any other place of business, contact an experienced Boston Injury Lawyer after you have received medical treatment. Upon initial consultation, we can determine whether or not you may be entitled to compensation for your injuries. Our lawyers are always available via telephone or email to answer any questions you may have about your case. Initial consultations are free of charge.